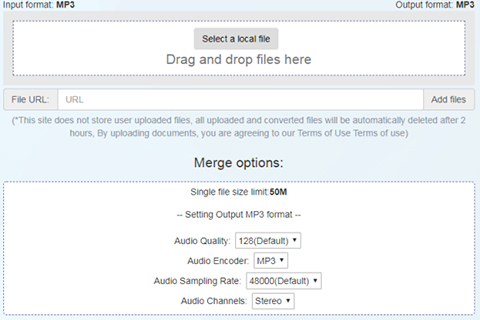 Would like to directly take the aid of quick way to merge your MP3 files together? If you are attracted to do it, an online MP3 joiner is the one you need. From our survey, it's difficult to find easy and online programs to manage MP3 files. Namely, the online MP3 Joiner Software ranked in this list is carefully selected by us. Pick any one you satisfy at present. Audio Joiner is a free online MP3 joiner, which is incredibly simple to use for novices. With this forthright assistant, you can get unlimited audio tracks merged with ease. Not just confined to MP3, you can also import more than 300 types of audio formats, like M4A, OGG, WAV, etc. When you get down to mix your MP3 files, you can get an access to adjust the intervals in your own way. Smartly make use of the fade-in, fade-out and crossfade features so that you can produce a smooth and natural audio composition. Crucially, you don't have to worry about the privacy issue as all your uploaded date will be deleted automatically a few hours later after you finish your operation. 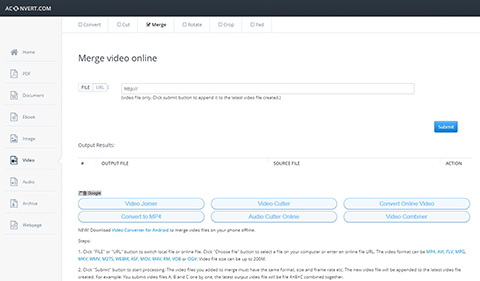 Compared with Audio Joiner, Aconvert offers one more option to add MP3 files, which enables you to either select designated MP3 file from local folder or paste online audio URL directly. 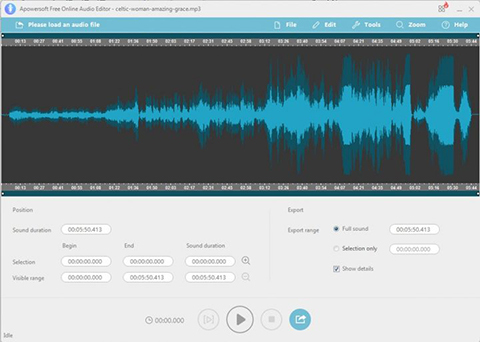 There are lots of audio formats can be acceptable by this compact tool, such as WAV, OGG, AAC, WMA, AU, FLAC, MKA, M4A, AIFF and RA and so on. Even though effective as it is, you can only be empowered to join audio track with the same format and bit rate. Providing perfect 2-in-one platform, Apowersoft Free Online Audio Editor can well cater to both online and offline users' need. By means of it, you can get chance to carry out a series of splendid works. In details, it facilitates you to mix, append and overwrite audio files with diverse effects applied. 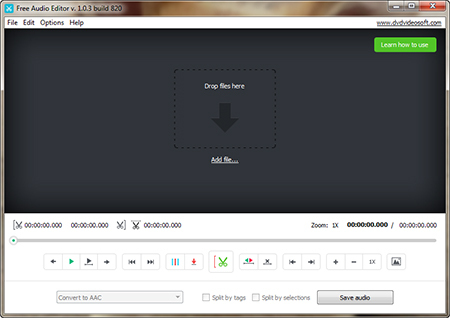 Besides, this tool can as well support various formats, including MP3, AAC, FLAC, OGG, WAV and M4A and more. You can even preview the effects in real-time to see whether it is in accord with your expectation. Certainly, this online MP3 joiner and cutter can come to rescue to manage your own music library. That is to say, there is no problem for you to edit the ID3 tag info for your completed MP3 file. Free Online Editor is specialized in merging and joining several MP3 files into a new one. It makes ringtone and music creation easier. Just head to your browser to visit this online site rather than cost time to install software on your PC. Furthermore, you can enjoy yourself in joining numerous MP3 files freely considering this free MP3 joiner locks the uploaded file quantity limitation thoughtfully. To keep it well for future listening, you can also download the one you like locally with a single click. One terrible thing is that you can do nothing when you would like to leave out needless parts before your merging process. 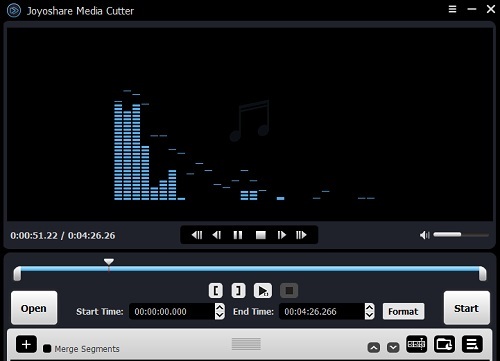 Filesmerge is another lightweight online MP3 mixer, which is capable of merging more than 3 audio tracks together. Once you set about taking advantage of this smart tool, you can choose a local file by straightly dragging and dropping it to the main position. Or you can enter a specific URL to upload MP3 audio files. However, you should pay attention to the file size limit of each audio track, not exceeding 50M. With more available options, Filesmerge has capability to let you set output file in customized way. You can change quality, encoder, sample rate and channel for your destination audio as you please. Entitle you to set quality, sample rate, channel, etc. In case you show no interest in above top-listed 5 online MP3 joiners, we here specially give you one more choice, Joyoshare MP3 Joiner. It is highly sought after owing to its excellent performance. You can adopt it to cut off unwanted MP3 tracks and combine the rest desired cuts together at up to 60X faster speed without losing quality. Comprehensively, any imported audio files can be exported to customize one as you are allowed to setup resolution, bitrate, channel, codec, etc. Thanks to its professional editing tools, you also accessibly make your audio professional-looking by applying different effects and adjusting related parameters. Customize codec, resolution, sample rate, bit rate, etc. Note: It depends on personal preference whether to choose an online or offline MP3 joiner. If you are fond of online solution, select a decent online MP3 merger. However, if you show interst in offline workaround, you can check another list out to find one best audio joiner for your taste.